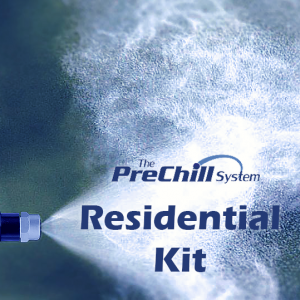 Award winning pre-cooling solution that uses the power of evaporation to cool the air around any air-cooled HVAC equipment by spraying an atomized water mist which surrounds the condenser unit, lowering the ambient temperature. This allows the air conditioner to transfer more heat, more quickly, which increases the system’s cooling efficiency, while reducing its actual run time and provides energy savings of up to 25%. 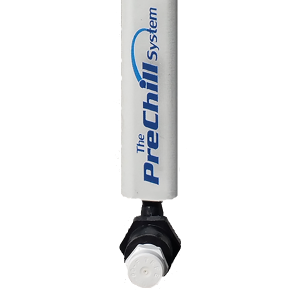 The PreChill™ System performs year after year and pays for itself in only a few months! 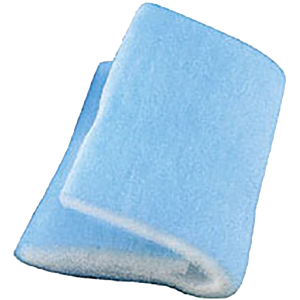 A specially treated protection barrier that blocks any moisture, dirt, debris or other contaminant which would normally collect in the condenser coils, adversely affecting the HVAC equipment’s cooling performance and lead to costly cleaning expenses. Designed to provide a surface for any residual water droplets to accumulate long enough to more completely evaporate, while not restricting the air flow to the condenser coils. 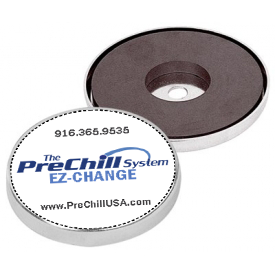 Occasional replacement of the ScaleShield™ Filter Screens is required during the cooling season. If you have a taller AC unit, you may want to add a few more misting nozzles to enhance the evaporative effect. Additional magnets may be added to better secure the ScaleShield™ Filter Screen.